We are so blessed in Charleston to have a mild climate that offers outdoor events and get-togethers all year round. 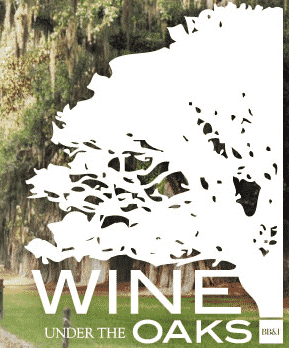 This weekend, on December 5th, join Slather Brand Foods as we participate in Wine Under the Oaks at Boone Hall Plantation. This signature event unveils the Charleston Wine + Food Festival’s new poster and offers incredible opportunities to sample gourmet foods and shop for hand-made culinary crafts. The atmosphere will be enhanced with live music so you can make merry and festive while benefitting the American Red Cross. Chef Robin Rhea of Slather Brand Foods will be on hand with samples of her signature Slatherin’ Sauces and a bit of her own native sauciness! Drop by and tell her you’re a fan and she’ll show you how to Slather It On!